The first thing that you can’t help but notice with this album by David J Caron is that it’s a double album. But “Why is that significant?” you ask. Well, double albums aren’t as uncommon as they used to be, that has to be said. But a double CD typically cost’s more to make, and thus costs more to buy, so you usually have to have an already established fan base to put one out. Yet this is actually a debut album – so I was surprised by the choice to make it a double. That said, I was then glad to see that the price wasn’t that much more than a standard album, so I then got to wondering why the decision had been made to make a double album straight off rather that hold back some of the songs to have another album ready to release within a year. Then I put the album in the player and it made sense. How so? The songs on this album follow on from one-another in a way that I’d compare to turning a page in a book. Each track is a continuation of the last, in that these songs somehow naturally belong together. And to be honest, that sense of belonging surprised me in itself. Why? Because despite the feeling that these songs somehow belong together, this is an album that’s very difficult to pigeon hole into a genre. 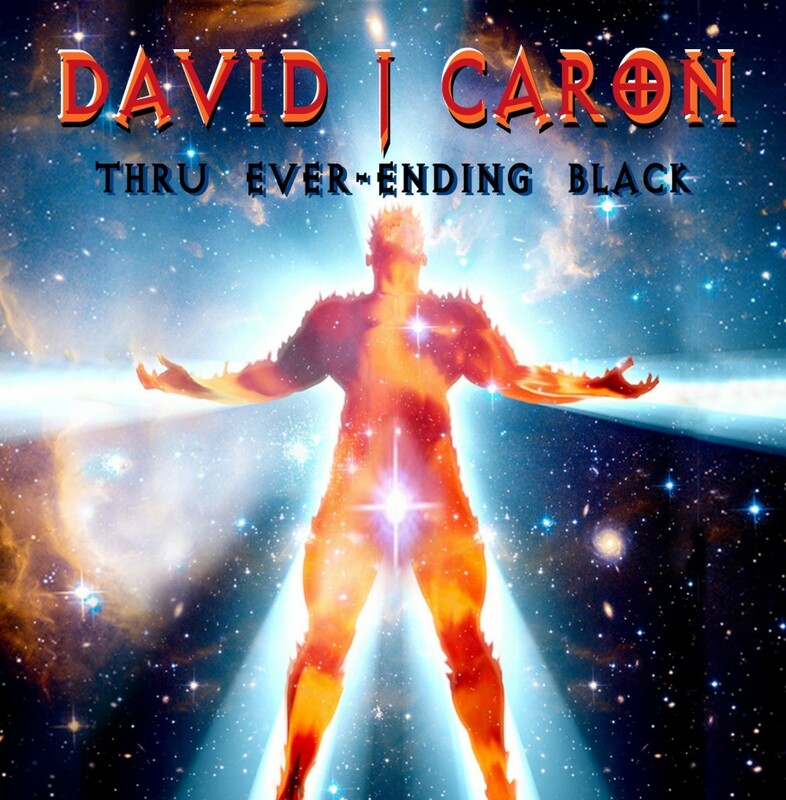 David J Caron’s album at times displays a leaning towards prog rock (I’m going to point towards “It Gather’s” as one example but there are others), a lot of modern rock, at times a bit of pop rock (such as “Beam The Ray”), and at times a dash of AOR/melodic rock comes through the overall sound. In fact there are so many different influences in this album that I’d love to hear David talk about his various musical influences, because it seems obvious that they span multiple genres. It’s also worth noting that this album was co-produced and engineered by Rob Mancini, and on a number of songs you can feel his subtle influence on the overall sound, probably no-where more so than “Time Machine”. Some tracks almost put me in mind of Faith No More, though I would struggle to give a reason for this. The cover artwork on this album also gives an impression of prog rock, while some of the other artwork is more sci-fi fantasy based. For me, the highlights were the opening track “It Gather’s”, the upbeat “Time Machine”, the heavier sounding “So Let There Be Light”, “Has To Be”, The melodic “Legendary”, and the ballad “The Tree That Waits”. One of the things that struck me as I was listening to the album was the intelligence of the lyrics, and I’m going to highlight “The Tree That Waits” as an example of this. It’s also worth noting that David J Caron wrote and performed all tracks himself. Verdict: 7/10. This is a all round good, solid album that I think will have something for everyone to enjoy, regardless of whether they usually only listen to a particular genre. As far as performing all tracks goes, David fills all roles very comfortably, and a number of these songs sound like they would go down well with a live audience too. I look forward to David’s next release.